Manohar Parrikar can be best described as a simple man who was not a simpleton; a man of frugal habits who shunned all visible trappings of power and was quick to understand complex issues because of his technical knowledge acquired at IIT Bombay. In his demise, India has not only lost an astute administrator but a role model of a politician. For me, however, his 28-month stint as India’s defence minister will forever remain etched in my memory not just because we became very close friends during that period but also because of the changes he sought to bring in the functioning of the largely opaque Ministry of Defence (MoD). He not only grasped the intricacies and complexities of the important ministry but also put his own stamp on the day-to-day functioning in the South Block. In reply Parrikar asked: “But tell me, why does the MoD function on a principle of mistrust?’ Taken aback at the rather direct remark, I asked him to elaborate. “In these two-three months that I have been here, the most striking aspect I noticed is the all-pervasive atmosphere of suspicion. Everyone is looking over his or her own shoulders. There is very little coordination; the overwhelming tendency is to first say no to everything,” a visibly agitated Parrikar remarked. “There has to be a solution! I think the key is in getting everyone to sit down and evolve a fresh approach. I will call you again to discuss something that I have in mind,” he said as we sat for first of the numerous meals together. Parrikar worked diligently on changing the mindsets and policies. Promulgation of the Defence Procurement Procedure (DPP)-2016 was the first step towards making fundamental changes in the way weapons platforms are acquired in India. The Buy IDDM (Indigenously Designed, Developed and Manufactured) category introduced in DPP-2016 now gets the topmost priority among the six categories that constitute the DPP, which is the guiding document for all defence purchases in India. In effect, this means that all those Indian companies that have the capability to design and develop their products indigenously, will from now on get the first preference in most purchases that India’s three armed forces undertake. This in itself was a big change because at the best of times, the defence ministry is a lumbering giant, slow to stir and act. Parrikar also worked on reducing timelines for acquisitions, better and optimum utilisation of available resources, bringing in more accountability and transparency in the MoD’s functioning and making sure most critical voids in India’s defence preparedness were made up in quick time. Post-September 2016, when India conducted the surgical strikes against Pakistan in response to the Uri attack, and it seemed for a while that Pakistan may mobilise for a larger conflict, India’s Cabinet Committee on Security (CCS) authorised the three forces to make fast-track acquisitions worth nearly Rs 20,000 crore, making it one of the most productive years for the MoD. This had to be done on priority because the previous government had neglected even the basic requirements. The previous Comptroller and Auditor General (CAG)’s performance audit report on ammunition management in Army, which was tabled in Parliament, made for grim reading. “Stocking of ammunition even at MARL (minimum acceptable risk level) was not ensured… with availability of ammunition as on March 2013 being below the MARL in respect of 125 out of a total of 170 types of ammunition.” Also, 50 per cent of the total types of ammunition held was “critical” — that is, insufficient for even 10 days of fighting, the report added. This has now been corrected by making sure that ammunition for 10 days of intense fighting is always in stock. Once that objective is achieved, the ministry will look at further replenishing the stocks. The delegated financial powers for Vice Chiefs of the three armed forces and Army Commanders have been enhanced to allow speedier purchases. It is also often forgotten that, it was on Parrikar’s watch that India signed the Logistics Exchange Memorandum of Agreement with the United States (in August 2016) after dithering for over a decade. He struck a warm friendship with Ash Carter, Barack Obama’s Secretary of Defence, to further strengthen India-US defence partnership. 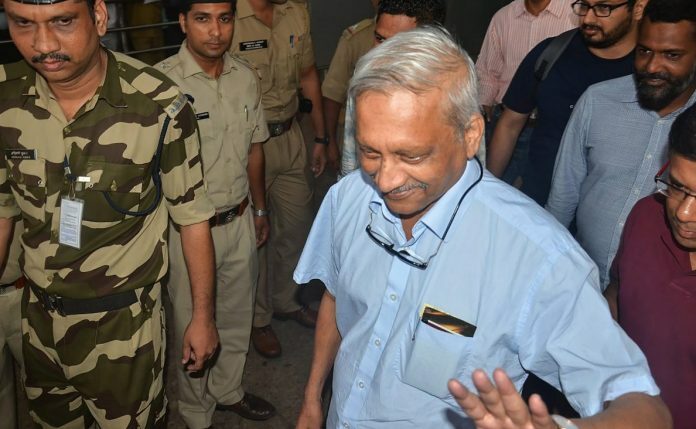 Despite the deep interest Parrikar took in the MoD’s functioning, his heart was not fully in Delhi. His first love was Goa. So, he continued to run the state from Delhi. The enormous workload eventually took its toll on his health. He was a loner in the manipulative and transactional world of Delhi. After we got to know each other slightly better, he would often drop by at our home at short notice with just one request to my wife: cook some home food. If she could manage rice and fish, well that would be a bonus. And of course, I had to make sure the beer was suitably cooled by the time he arrived! He was a great story teller and possessed a sharp wit. Once in Goa, he sent one of his friends to fetch me from the hotel with this message to him: “Nitin Gokhale will meet you in the hotel lobby but don’t look for a typical Gokhale look. He looks more like a Tamil Tiger cadre.” For those who don’t know, Chitpavan Brahmins like us are supposed to look more like India’s current Foreign Secretary Vijay Gokhale — tall, fair, handsome and light-eyed to boot — and not someone as dark and curly-haired like me! Parrikar was ‘bhai’ (brother) to everyone in Goa, but he was like an elder brother to me in the two years that I got to know him so closely in Delhi. I will miss him for sure but I will look back on the time I spent with him as my lucky period, and continue to draw inspiration from his simplicity and sense of purpose in whatever he did. Travel well, my friend. A man needs to be confident of his intellect, integrity not to require the trappings of power as a crutch.